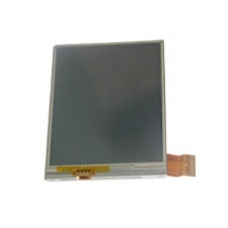 This is a complete drop-in replacement screen for the iPAQ 200 series Enterprise Handheld this includes the full Transflective TFT colour LCD and digitizer. If you have broken the screen and can see dark patches of bleeding, then replacing this part will solve the problem. If you are not confident with a 'Do it Yourself' installation of this screen part, just follow the Related Products link below and order the in-house iPAQ repair service. If you have broken the LCD on your iPAQ 200 Series Enterprise Handheld PDA and can see black ink on the display or maybe..